Dallop® NM urological tape is intended for TOT/TVT tension-free surgical treatment of stress urinary incontinence in women. 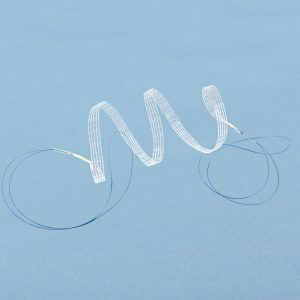 The tape is manufactured with the use of knitting technique out of transparent monofilament polypropylene yarn. On both ends the tape is equipped with two blue handles facilitating the tape's visibility in the operating field. Each handle possesses additional protection against pulling the tape out due to the application of force necessary for pulling the tape through the anatomical structures of the patient. optimally developed spatial structure in which the size of the pores enable fast ingrowth of connective tissue. Dallop® NM urological tape does not contain substances of allogenic or animal origin. 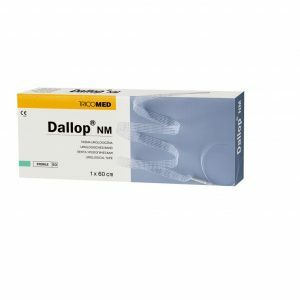 Dallop® NM urological tape is intended for the surgical treatment of stress urinary incontinence in women, with the use of TOT/TVT methods enabling tension-free tape implantation. The tape substitutes the weakened pelvic floor muscles which no longer can assure adequate position of the urethra which results in urinary incontinence. By creating support for the urethra, the tape ensures its natural position - as a result, the patient's health is improved. Appropriately designed applicators - depending on the chosen implantation method - allow for safe implantation of the tape in patient's body. Dallop® NM urological tapes are sold sterile - EO sterilisation in a validated process in acc. with PN-EN ISO 11135. As stated in EN ISO 10993-7, the mean dosage of EO for the patient should not exceed 0,1mg per day or 4mg during the first 24 hours. The level of EO residues in the tapes introduced to the market is much below those criteria. The sterility of Dallop® NM urological tapes is confirmed by sterility tests to which each lot of the tapes released for the market is subjected. The fact of being subjected to sterilisation process is proved by sterilisation indicators on the package. Bacterial endotoxin content in the lot is much below the requirements - the requirement being 20EU/device (in acc. with USP monoghaph 161). Endotoxin content is a very important parameter due to the fact that some part of dead bacteria (endotoxins) is pyrogenic. This is the reason why there is a limit on the content of dead bacteria in medical devices. 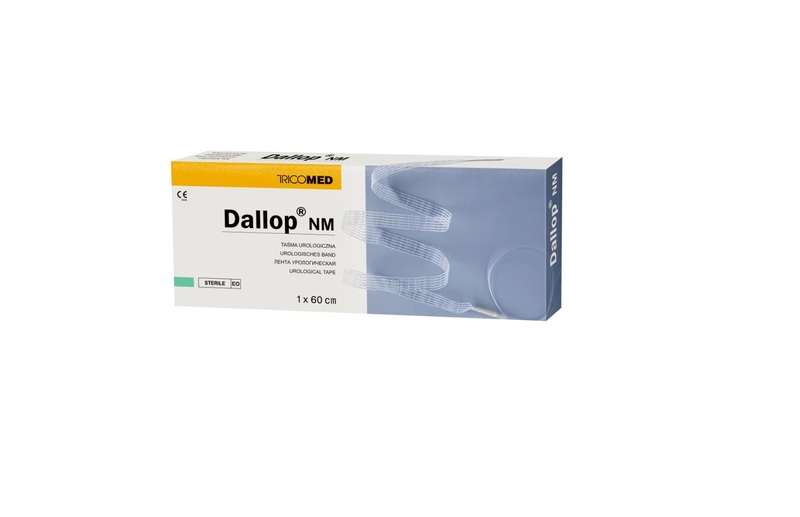 Dallop® NM urological tapes fulfil the normative criteria described in PN-EN ISO 10993-1. The tapes possess a number of documented biological tests. 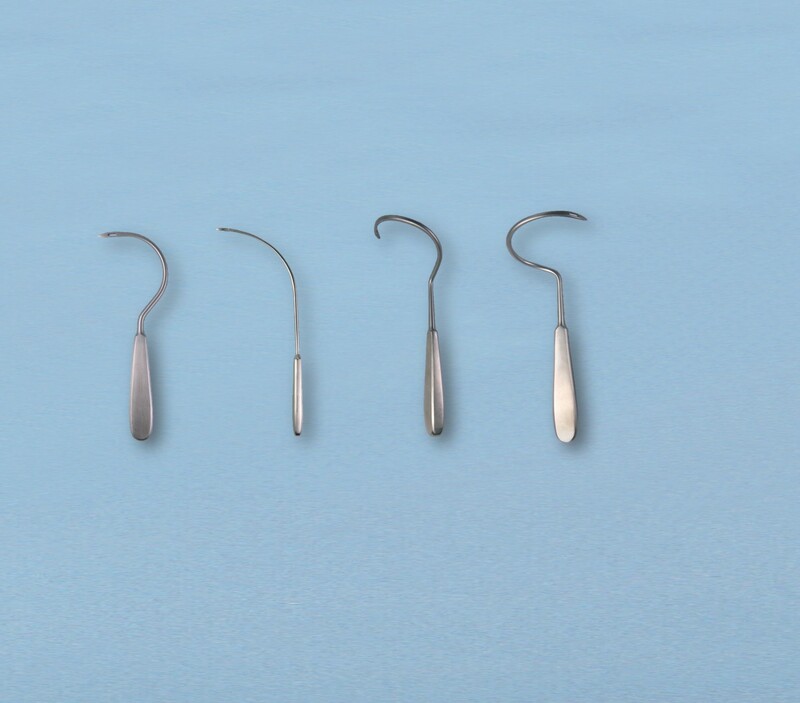 Linear mass – from 0,05 to 0,09 g/dm – ensures the patient's comfort of use. Handles pull out strength – min. 35N – ensures safe passage through anatomical structures. Porous structure – approx. 40% - ensures quick connective tissue overgrowth. Dallop® NM urological tapes are packed in double medical package (in acc. with the PN-EN ISO 11607-1) – paper-foil sleeve with a fold; the package is adequate for EO sterilisation. On the outer package there is a TAG label (easy to peel of, self-adhesive, identifying the device). The double package enables introducing the product into the operating field with no damage to its asepsis. 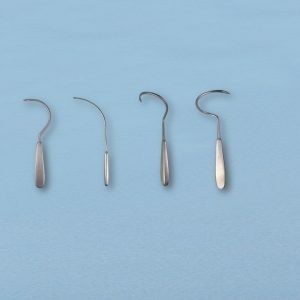 Moreover, the transparent package enables having a look into the package and inspecting the implant. A sterile implant packed into double medical package with IFU and additional double TAG label included is placed in a cardboard box. Such package ensures safe storage within the guaranteed validity period.